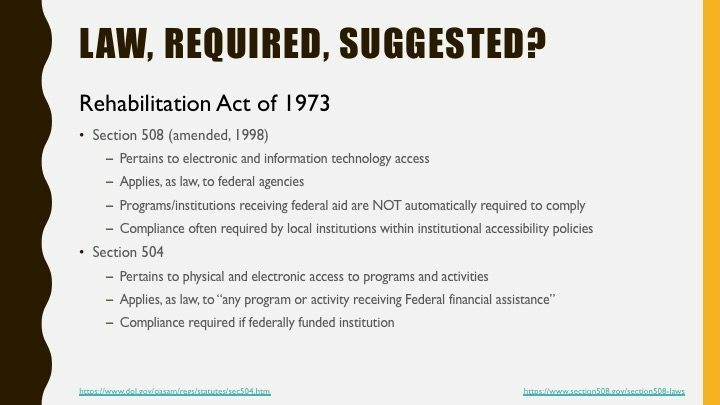 This is an informational session I designed and presented at a summit for the Technology Enhanced Instruction community of practice during my time working on the TAACCCT#4 grant at Northampton Community College. 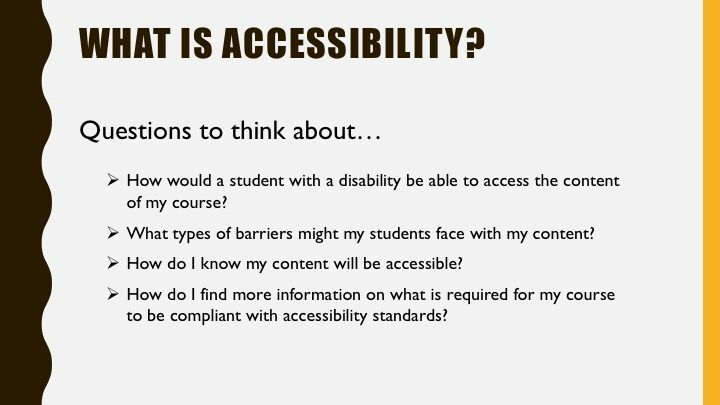 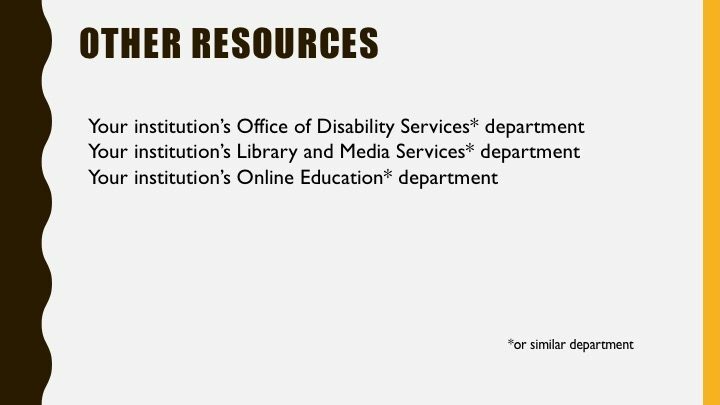 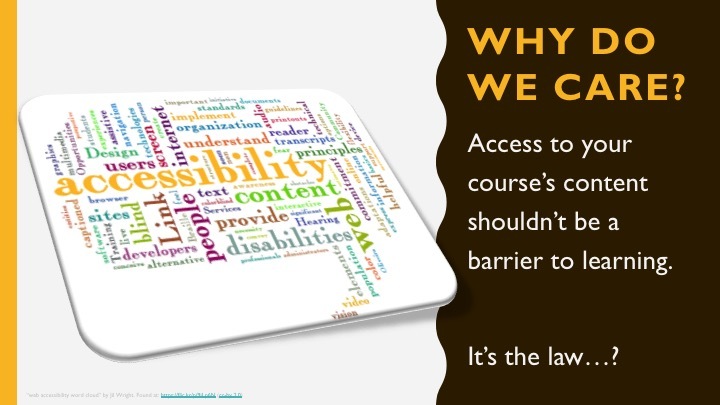 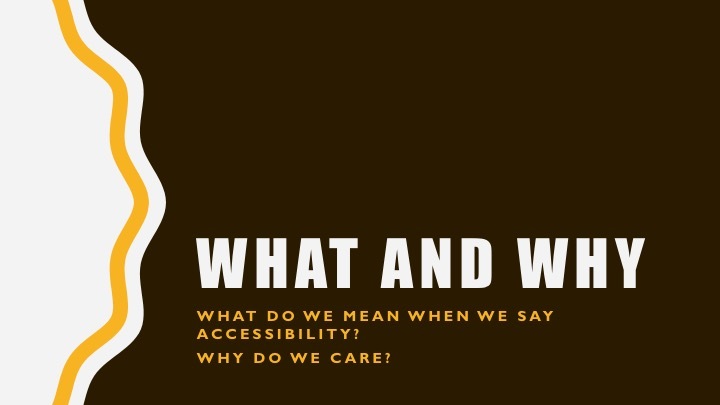 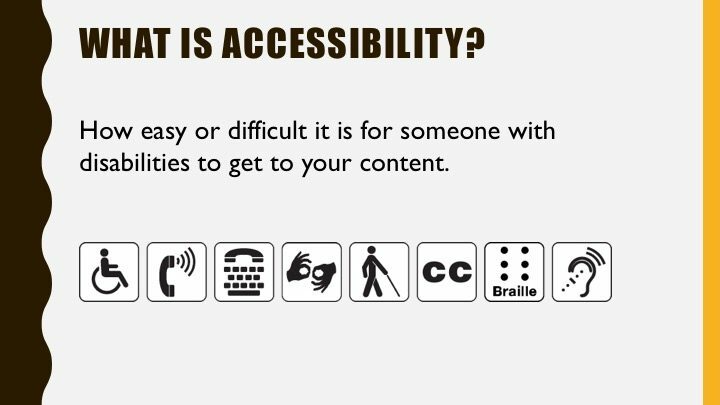 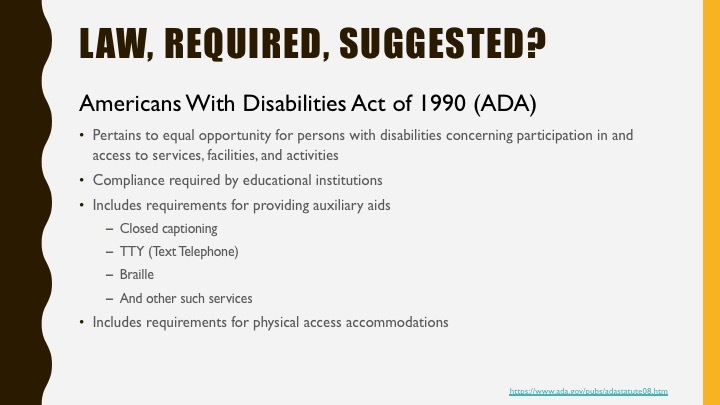 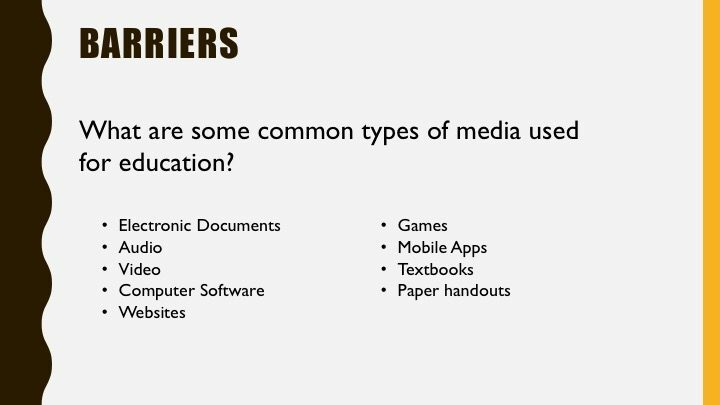 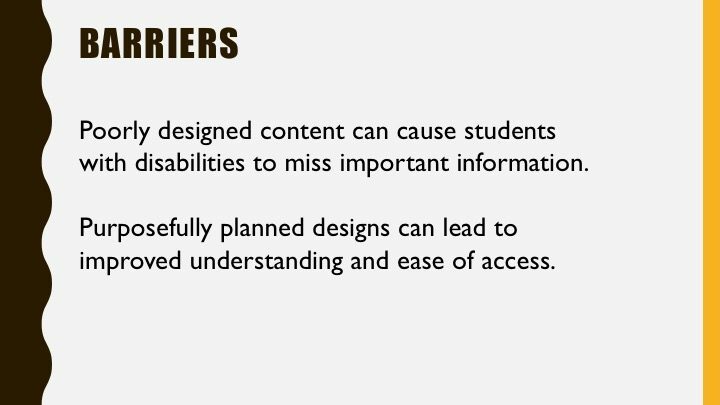 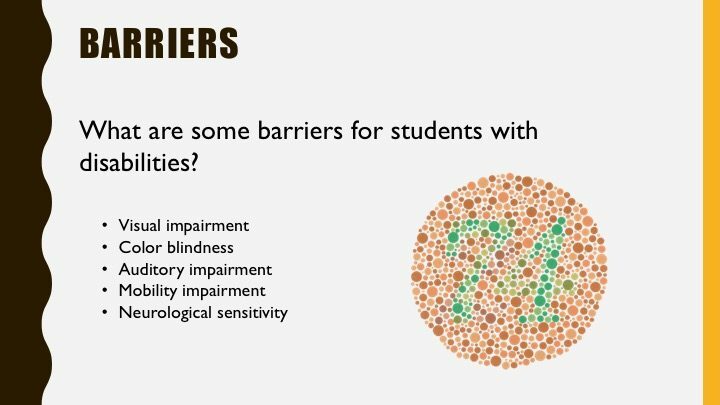 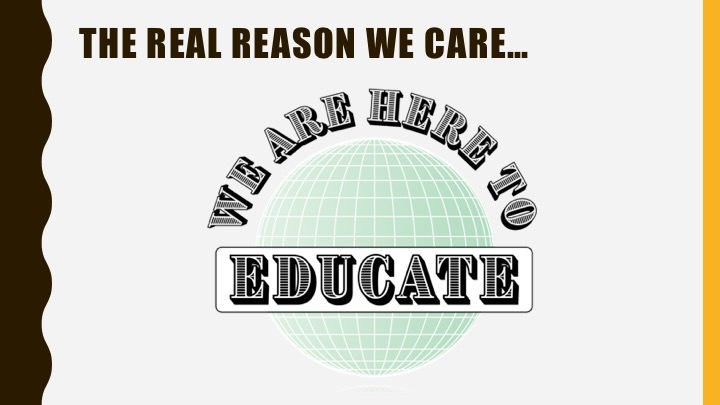 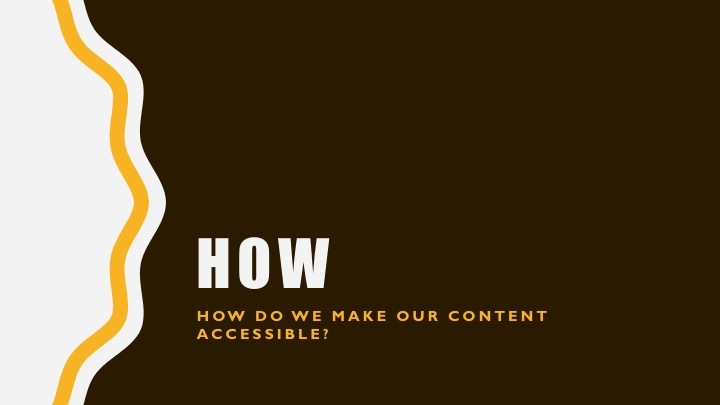 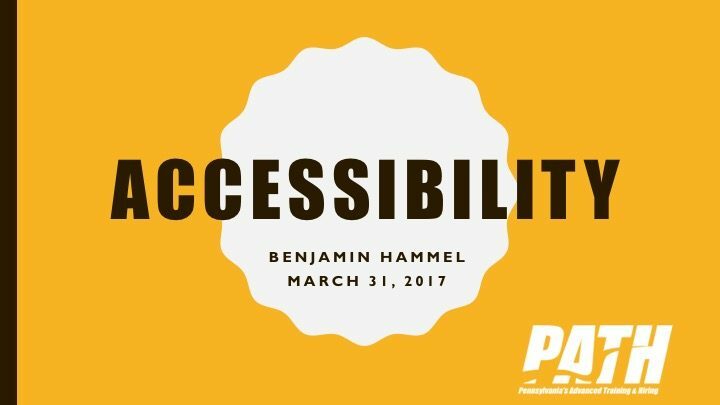 The goal of the presentation was to provide an overview of accessibility demands for educational content. 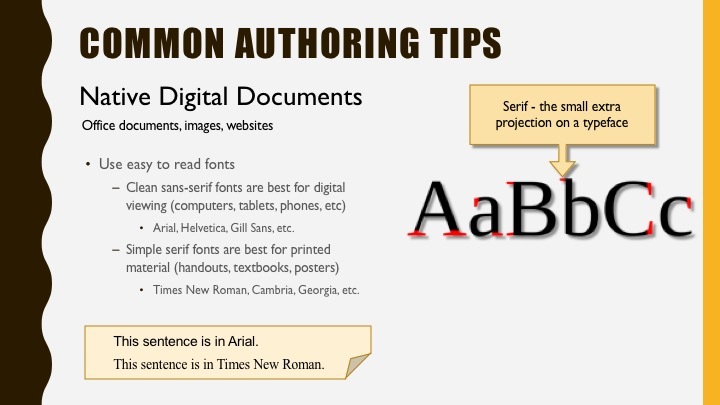 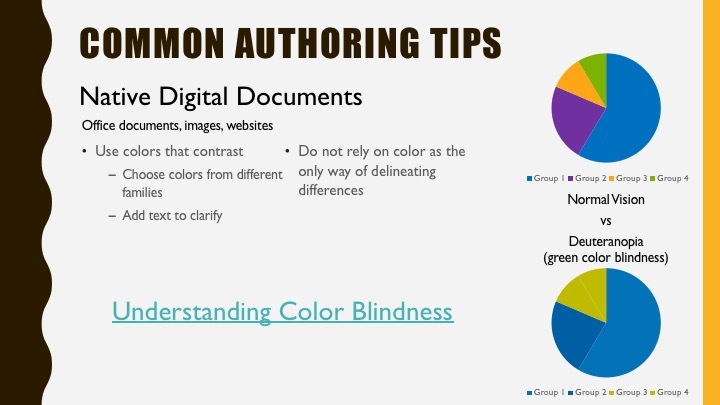 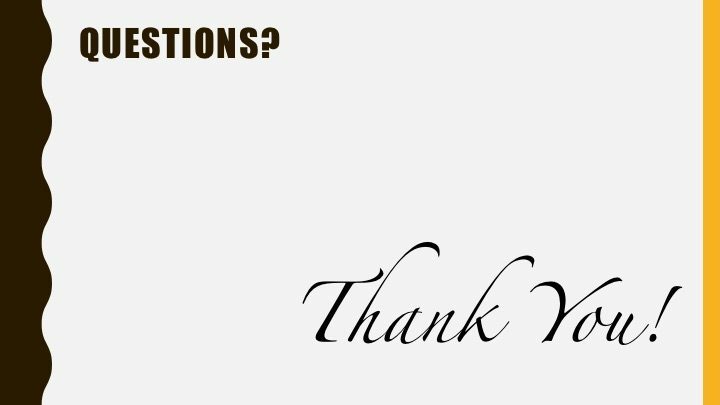 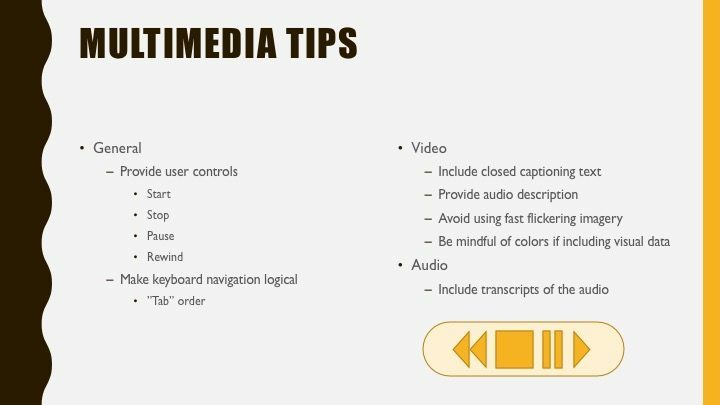 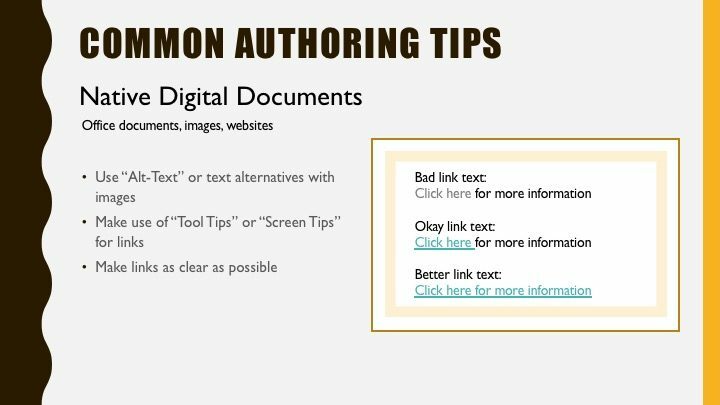 The slides are image files exported from Microsoft Power Point and I have included hyperlinks in the comment of each slide where hyperlinks are included in the Power Point version. 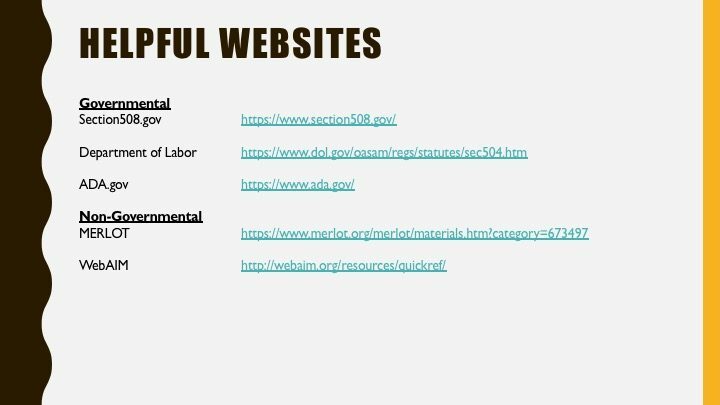 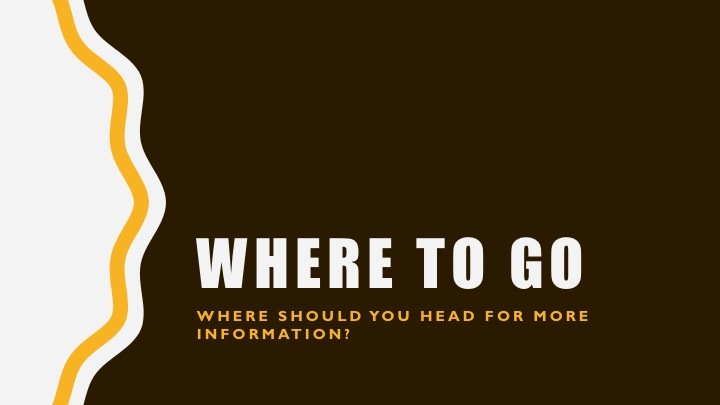 Although the slide appears to have three (3) links, the "link" are only to show multiple ways of displaying links on the web. 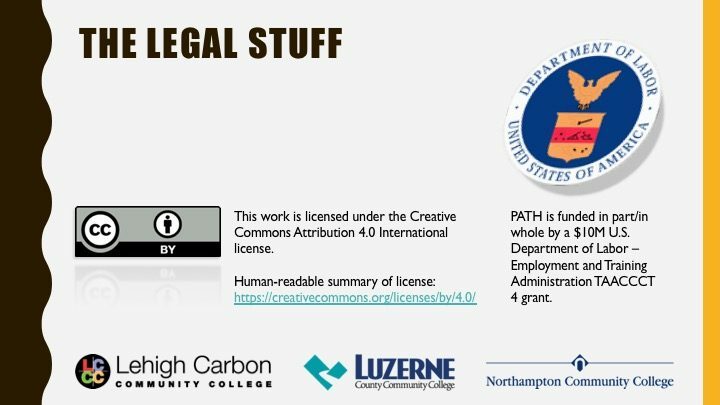 The presentation is licensed as CC-BY 4.0. 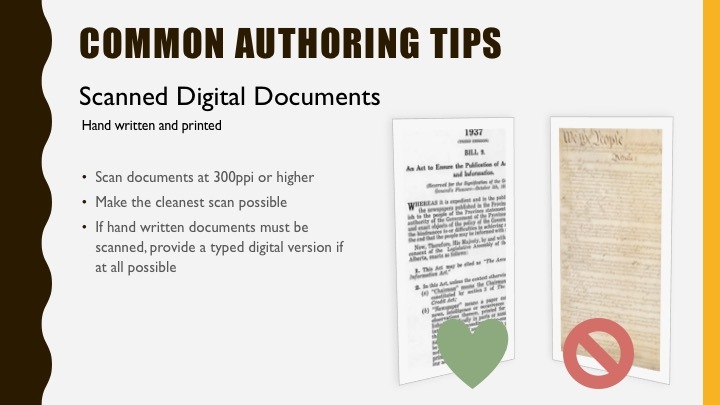 Please feel free to use or modify the presentation as you like with the adaptation licensed under the same attribution license per the CC-BY 4.0 license agreement.